I think I need some help with my cardboard box hoarding at this stage! This weekend I managed to make use of a few of the smaller cosmetic boxes to make a cardboard box train. 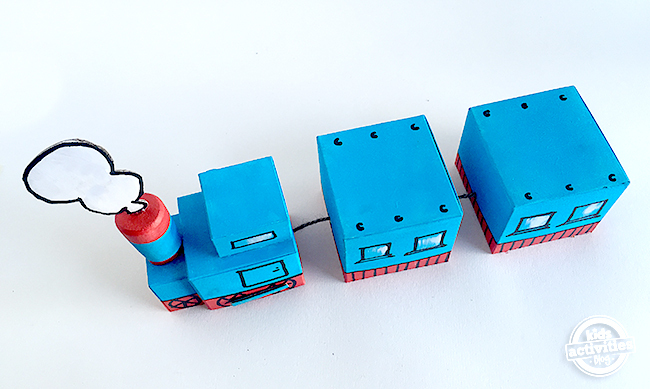 A simple painted pull along train to inspire hours of chooo chooo pretend play. 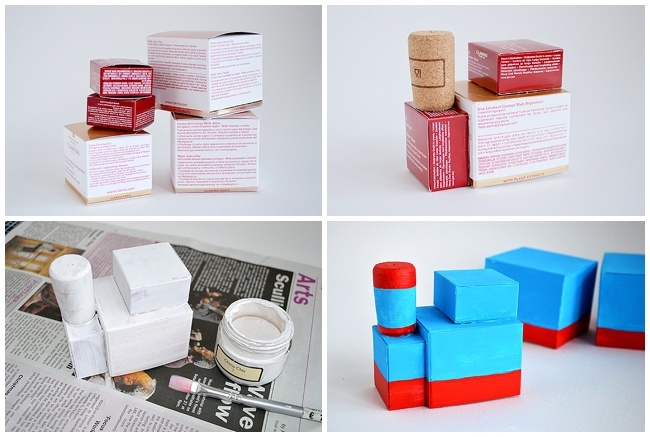 This craft is a simple 3 step – Glue, Paint and Draw, that’s it!! 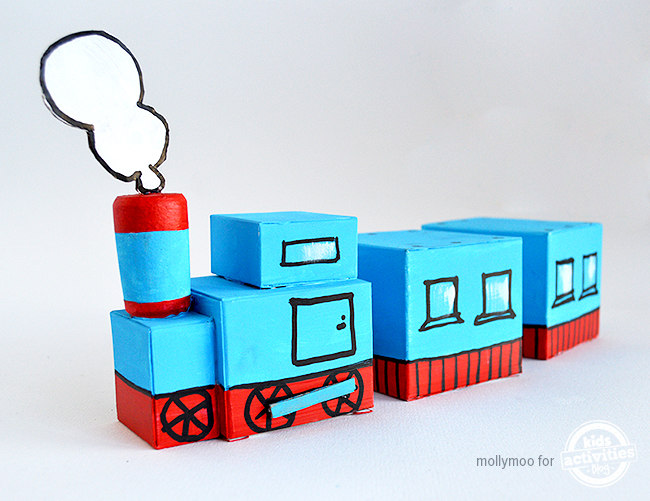 Gather together a few small boxes, for the engine and the carriages – as many carriages as you want. Glue a few together to make the engine and I used a simple wine cork for the chimney stack. Paint all over with white to cover the graphics, the big bonus of painting a white layer first is that you will only have to give one coat of the colored paint afterwards. 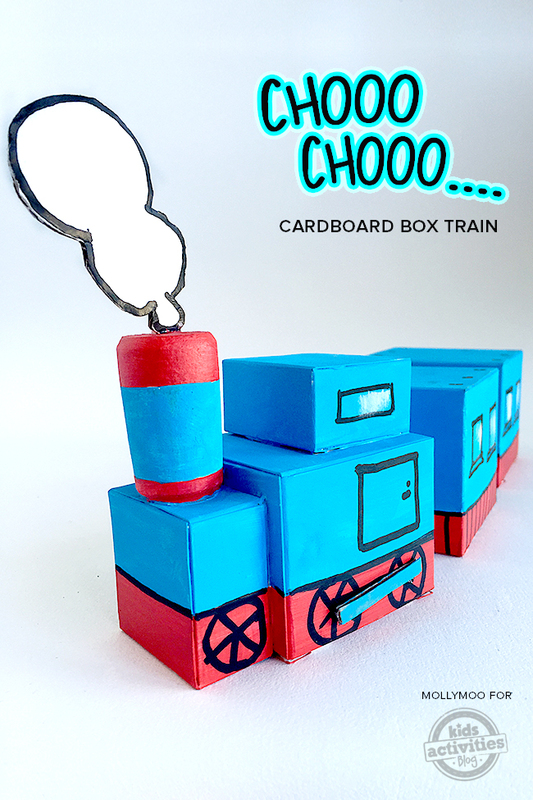 Paint your train and leave to dry…..
As soon as the boxes are dry use a thick black permanent marker to draw on windows and all the trainy details! Then just string the engine and carriages together – you can add a longer length of twine to the front so your toddler can pull the train along behind them. Tip: if you cut holes in the roofs of the carriages you child’s lego minifigs, miniature toy characters or animals can hop in for a spin down the hallway….